It's easy to understand how working together with other businesses in various forms of business enterprise can enable you to improve your community and can make you more successful, but how should you go about contacting those businesses in the first place? A walk around your local area can be sufficient to locate shops, but what about those businesses with less visible premises? How can you research what your area has to offer? And once you've located a business of the sort you're looking for, what's the best way to go about making contact? All this can seem quite daunting, but in fact it's easier than you might think. 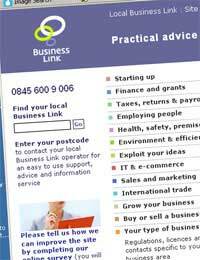 When you need to find out about other businesses trading in your area, the first place you should go is the government's Business Link service, which you can access via your local business support centre or online. This extensive free database offers a postcode search facility which highlights all the registered businesses in your local area, along with their contact details. You can also find business listings by area in any reasonably sized local library or city business library, and there are several websites which provide directories. Google maps makes it easy to search for businesses by location and see exactly where they are, though its listings are not yet as extensive as those elsewhere. Don't forget to add your own business to each directory you find, to make it easier for people to contact you. When you research other businesses, cross reference the information you get to make sure it's as up to date as possible. They will be more impressed by you if you know the owner's name and can speak from an informed position. Once you've decided which businesses you'd ideally like to bring together for your new business enterprise, it's time to start making contact. Don't worry if this is unsuccessful in some cases. Some businesses may no longer be trading and others may not understand the value of business to business cooperation (needless to say, this is a bigger loss to them than it is to you). The important thing is to get enough businesses on board to get your business enterprise up and running. Others may ask to join once they can see how it's working. Having identified the individuals you're looking for, try to establish their preferred mode of contact and adjust your pitch accordingly. Remember that you don't have to get people to agree to your proposals right away, though you should follow them up if they express an interest but fail to pursue it. What matters is to get them into talks with you, which may be as simple as getting them to come to a group meeting. Whatever your strategy, make sure you know it perfectly before you get in touch. The more confident you sound, the more effective your efforts will be. Turning up unannounced on someone's premises can make them feel pressured and resentful, but you should try to arrange a meeting in person as soon as possible, as people find it harder to turn things down when dealing face to face. This will also give you a chance to establish a friendly relationship. Not all business to business contact has to be done this formally. You'll find that you often meet other local business owners if you attend networking events, and you might also consider throwing your own networking party (rent a room in a pub if you don't have suitable premises) and inviting business owners in your neighbourhood along. Once you have made a useful contact, ask that person if they know anyone else who might be interested in getting involved with your business enterprise. You'll be surprised by how fast it can grow. Do you want to grow your business? Do you have serious, defined sales goals?Reply back to get a full proposal.